absolutely fabulous, everyone was cheerful, and extremely helpful,. Lovely clean site. very private .I would give 6 stars overall if I could. will definately be returning. just minutes from downtown Baddeck. Pet friendly. 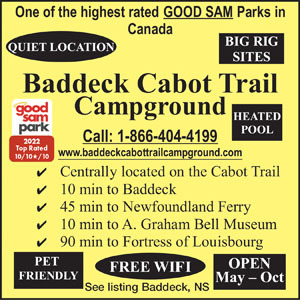 We stayed in Baddeck Cabot trail campground for two nights. The washrooms were very nice and clean but the sites are on a very steep slope. Ours had such a big slope we had to block up one side of the trailer so much that when we went to take it down, the camper almost rolled down the hill! very dangerous!! Also when you stepped out of the trailer you almost fell down the hill. The sites need to be leveled out to be more comfortable. I had the pleasure of staying at one of the camping cabins on the campsite recently. The cabins are spacious, spotless clean and very comfortable. 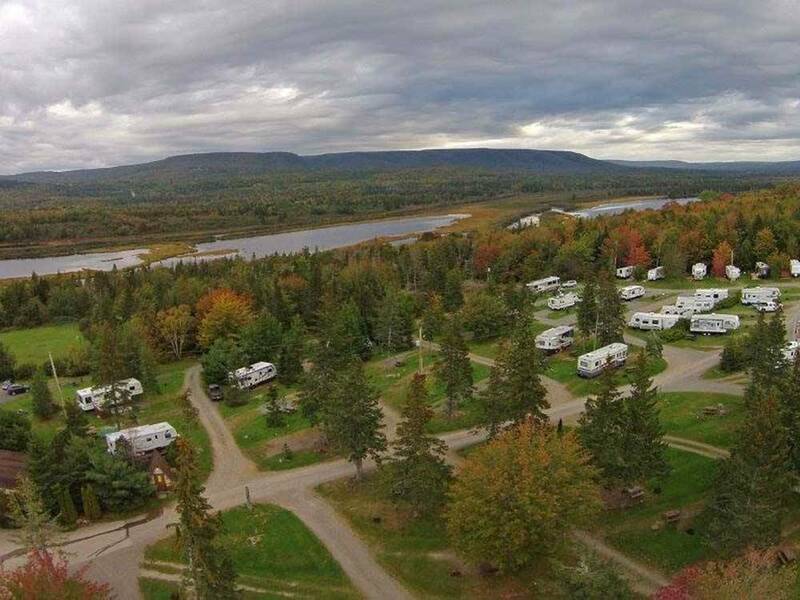 The campground has lots to offer, whether you are staying in a cabin, rent, RV or a trailer. The pool is heated and the cabanas as AWESOME! The camping lounge is a great addition as well. This owners and their staff are very friendly and helpful and will make sure you enjoy your stay . Its safe to say this campground is BY FAR THE BEST CAMPGROUND we have ever stayed in! The campground was well kept. Washroom were excellent. The staff were very friendly and helpful. We stayed at several camp grounds around the Maritime Provinces while on vacation and this facility is by far the cleanest, friendliest and most welcoming by far. The area is incredible and the park made the trip a five star vacation.